Among the recreational and sporting activities dedicated to our customers, there is golf. We have a special agreement with Antognolla Golf, dedicated exclusively to our guests. 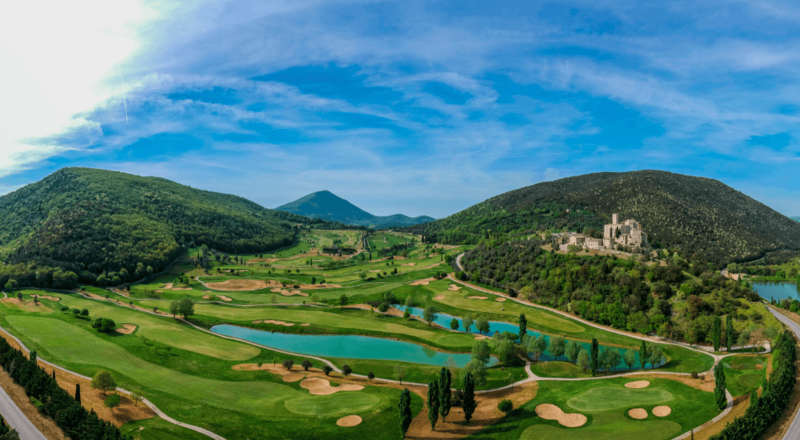 Located in the green heart of Italy (Umbria), bounded by the Tuscan border on the west, Antognolla features an 18 hole signature golf course set amidst 60 hectares of forest boasting breath-taking views to the 12th century medieval castle. The 6,208 meter Antognolla Golf has been designed by the legendary Robert Trent Jones II and offers clif-lined fairways, beautiful water hazards and large, undulating greens. The clever layout makes Antognolla an exciting and satisfying course for golfers of all abilities. The 18 holes golf course at Antognolla is positioned under the magnificent Antognolla castle and surrounded by wild and wooded hillsides. The designer has managed to exploit the natural beauty of the terrain in designing a course featuring large undulating greens which require accurate approaches. This par 71 is 6208 metres long and challenges every aspect of the game. ￼A renovated Golf Shop is situated next to the course. With a wide selection of golf apparel and equipment we are prepared to satisfy all needs. In addition to the 18 holes golf course, Antognolla Golf has a wide putting green and a driving range. Golf lessons,by our resident PGA of GB & Ireland Golf Professional Giovanni Loso, are available daily.